You have 9 action packed days in the island where you will cycle, trek, hike, raft and jump off waterfalls. 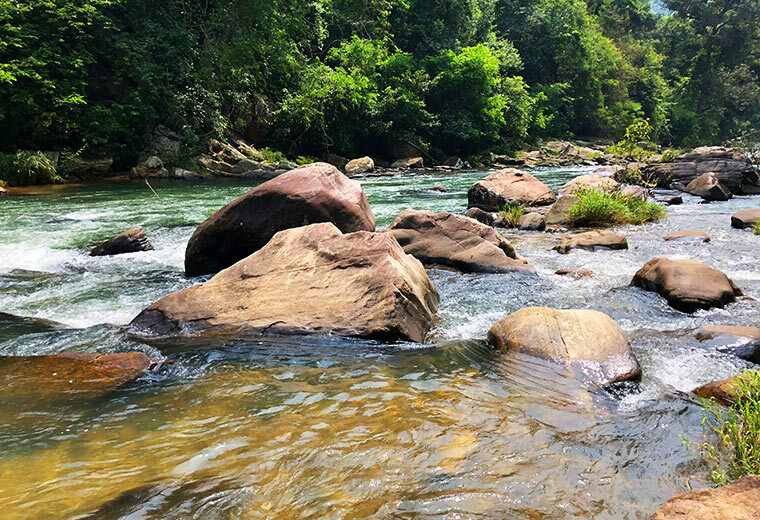 You start off with a mellow romp around Colombo and then move on to the rainforest where you experience white-water rafting, canyoning, abseiling, trekking and mountain biking. The adventure continues in the mountains where you trek and hike through the knuckles mountain range and conquer the mystical Adams Peak. 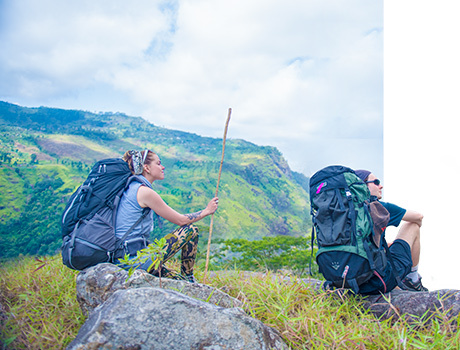 You will be met by a Nature Odyssey Representative & tour guide at the airport from where you will proceed to Colombo and your hotel for the night. Colombo is the islands largest city and its former administrative capital and is a busy and vibrant city with a mixture of modern life and remnants of a bygone colonial era. Due to its large harbor and its strategic position along the East-West sea trade routes, Colombo was known to ancient traders 2,000 years ago. However, it was only made the Capital of the island when Sri Lanka was ceded to the British Empire in 1815. The main city is home to a majority of the Sri Lanka’s corporate offices, restaurants and entertainment venues. From the rater mellow if Colombo we head over to the best location in the island for some outdoor adventure. Kithulgala situated along the Kelani river is the ideal location for outdoor adventure sports. you have a full day of rafting, canyoning, abseiling and cycling ahead of you. After breakfast, a short 15-minute uphill hike through green rain forest will take you to the starting point where you start the journey canyoning. 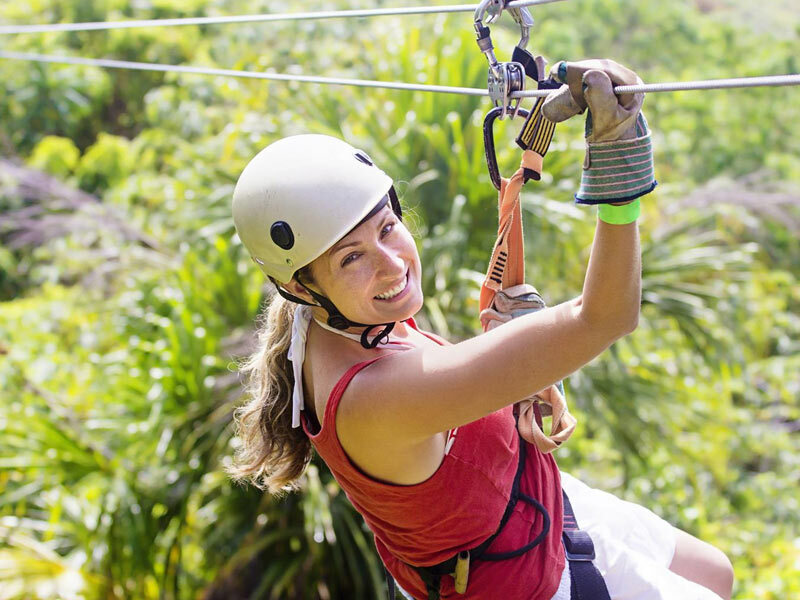 It includes jumps natural slides & rappels , all of which is surrounded by the wilderness. 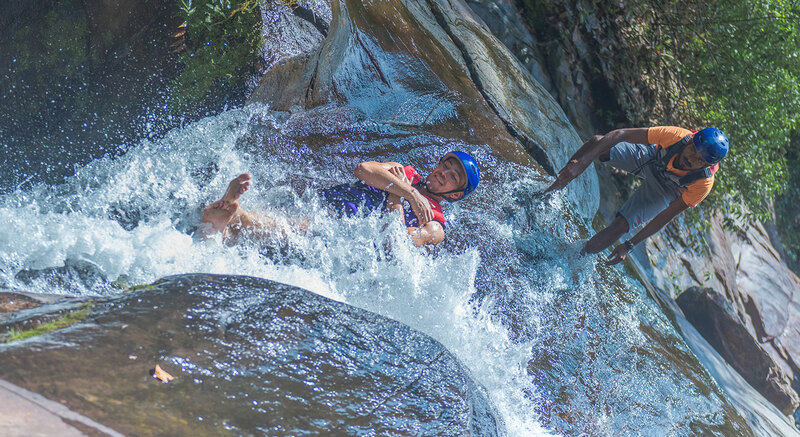 After canyoning you will proceed to the location where you Abseil waterfalls. 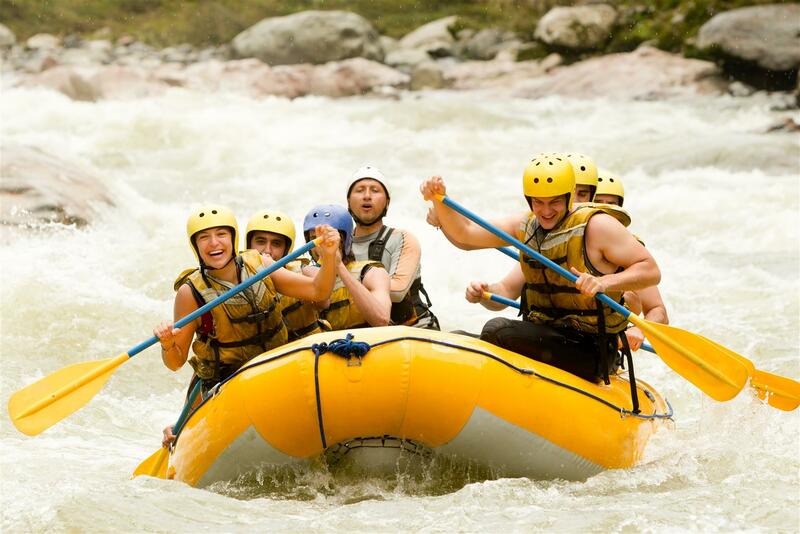 Then you return to the base camp where you can have a shower, lunch and in the afternoon You will be taken to the starting point to white water raft. It features 5 major rapids and 4 minor rapids. After an early breakfast you will be escorted to the Kitulgala rain forest for nature trek through the rain forest. The Kelani Valley Forest Reserve in Kitulgala was established to protect the biodiversity of the area and is home to many of Sri Lanka’s endemic fauna & flora. Kitulgala Forest Reserve is famous for spotting rare endemic birds such as the Sri Lanka orange-billed babbler, chestnut backed owlet, the blue magpie and the red faced malkoha. 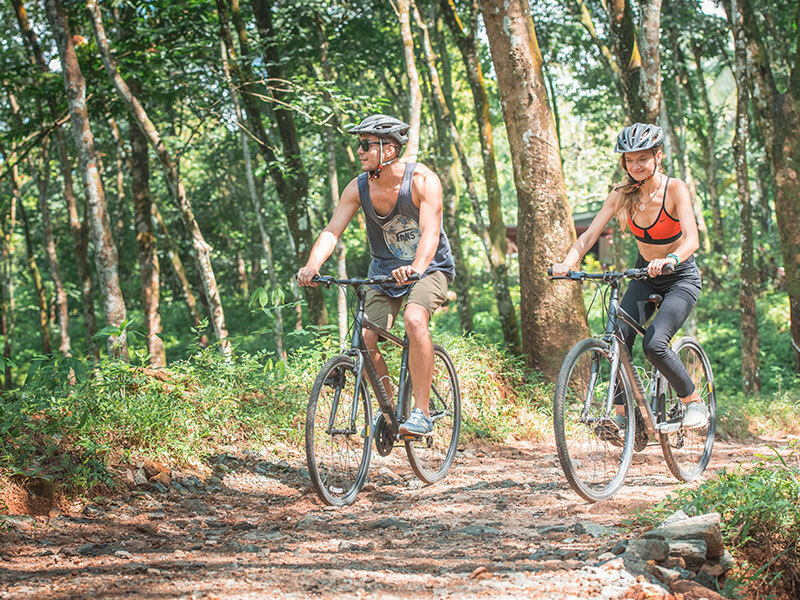 In the afternoon you will mountain bike around the Kithulgala area. We head out earl morning to the city of Kandy where we explore the old city and the Temple of the tooth. After breakfast you head out for a city tour of the main city of Kandy which is the last capital of the Sri Lankan kings. The name Kandy conjures visions of splendor and magnificence. Many of the legends, traditions and folklore are still lovingly kept alive. Drive around the Kandy lake built by the last Sinhala king Sri Wickrama Rajasinghe in 1806, visit the Kandy town and bazaar, the arts and crafts center and other important attractions. In the evening head over to the Tooth Relic Temple, the Temple of the Sacred Tooth Relic is a Buddhist temple in the city of Kandy. It is located in the royal palace complex of the former Kingdom of Kandy, which houses the relic of the tooth of the Buddha. Since ancient times, the relic has played an important role in local politics because it is believed that whoever holds the relic holds the governance of the country. After breakfast at the Eco Lodge you take a to the Kandy railway station to take the train to Nanu Oya. This stretch of rail road running through the mountains & valleys covered with tea plantations like green velvet is regarded one of the most picturesque one in the world. While the train pulls on the winding road, one can witness the wide vistas of the Sri Lankan central hills. After getting down from the train at Nanu Oya station you head off and explore the city of Nuwara Eliya. Nuwara Eliya is a city in the hill country of the Central Province, Sri Lanka. Its name means "city on the plain (table land)" or "city of light". The city is the administrative capital of Nuwara Eliya District, with a picturesque landscape and temperate climate. It is at an altitude of 1,868 m (6,128 ft) and is considered to be the most important location for tea production in Sri Lanka. The city is overlooked by Pidurutalagala, the tallest mountain in Sri Lanka. Nuwara Eliya is known for its temperate, cool climate — the coolest area in Sri Lanka. 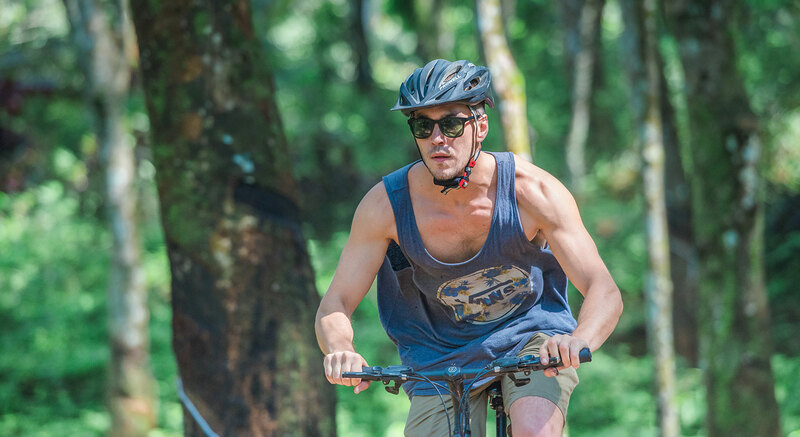 After you check in to the hotel and get some rest, come evening you will have an interesting 2.5-hour cycling ride through the tea plantations. This cycle trail takes you to the edge of the tea hills. As you travel through the trail, you will come across an astonishing view of the beautiful landscape. After morning breakfast you will proceed to Horton Plain National Park to conquer the second tallest peak in the island "Kirigalpoththa". Horton National park is situated on Sri Lanka's highest plateau over 2100m above sea level in the central mountains and is a strange and tranquil region with an astounding variety of scenery – from misty mountains to grasslands, from marshes to ice cold streams, lakes and waterfalls. The peaks of Kirigalpoththa (7,838 ft.) and Thotupola Kanda (7,733 ft.), are the second and the third highest of Sri Lanka, situated to the west and north respectively. Among them Kirigalpoththa mountain range offers some challenging trekking routes with rewarding scenic views. Kirigalpoththa has distinctive flora with a high level of endemism, colourful butterflies, many rare endemic, resident or migrant birds and several species of Gauna including Sambhur, Bear Monkey, Barking Deer, Giant Squirrel, Fishing Cat, Wild Boar, Hare and even a few very rare sightings of Leopards. After breakfast we travel to Nallathanniya and check in to our hotel in order to rest up for the late night climb ahead. We being or climb approximately around mid night in order to summit the mountain in time for a once in life time gimps of the sun rise. 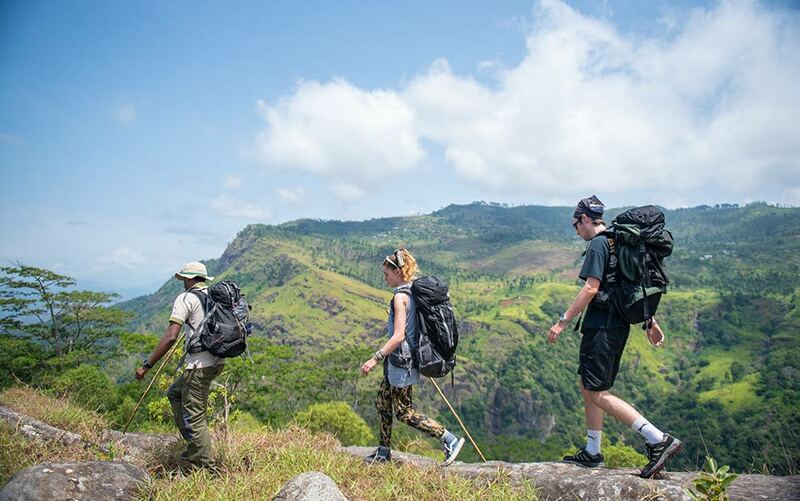 The usual pilgrim season for Adams peak begins in December and ends in May. During this time thousands of pilgrims climb to the summit every night. The pathway is lit and the experience is a cultural treat. During the rest of the year the path way is not lit and there are no pilgrims, however the beauty, serenity and adventure of Adam’s Peak remains. from the hills you make your way towards Udawalawe National park and check in to your hotel. 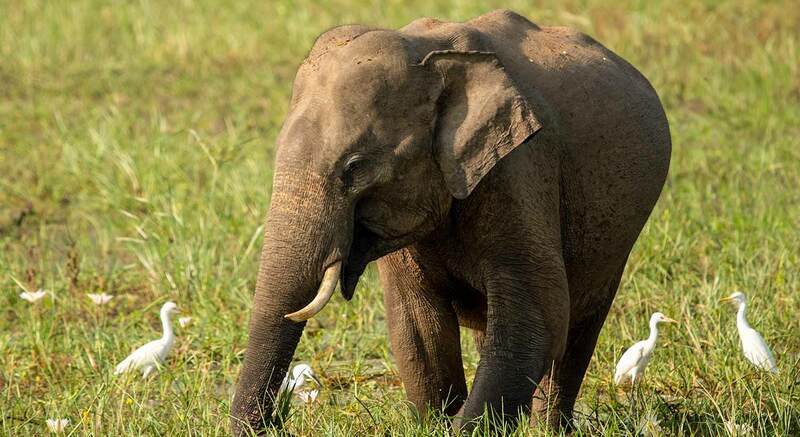 In the evening you embark on an elephant safari in Udawalawa National park. The park is spread out in an area of 31,800 hectares, which was declared a protected sanctuary with full National Park status in 1972. Surrounded by mountain ranges, the terrain of the park is a mixture of grassland, shrub jungle, wild teak plantations and two important factors which make this park special - the large Udawalewe Reservoir and the Walewe River, which ensure a supply of water for the fauna within. Internationally renowned for its large herd of elephants, the park is also known for several species of Deer, Wild Boar, the dangerous Wild Buffalo, Jackal and rare sightings of Leopard. After breakfast we head over to the coastal town of Hikkaduwa for snorkeling and surfing(optional). This is the place for underwater delights where there is a marine sanctuary abundant with rare corals and tropical fish. 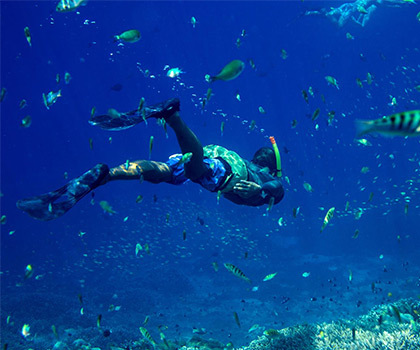 The underwater world of colorful corals and beautiful shoals of fish can be explored by snorkeling.